The Dutch bank wants to add 1 million profitable customers per year through 2022. Using a single technology platform and fewer branches helps boss Ralph Hamers grow efficiently, without resorting to risky acquisitions. Investors aren’t giving ING’s model enough credit. ING Belgium Chief Executive Ralph Hamers presents the bank's annual results during a news conference in Brussels February 13, 2013. 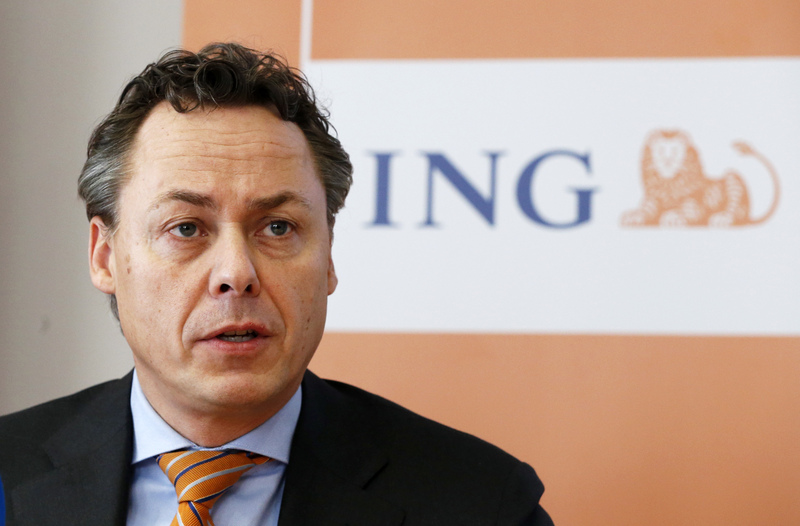 ING Groep said on March 25 that it plans to grow its number of primary retail customers, who use the bank for more than simply depositing funds, by around 1 million per year to reach 16.5 million by 2022, up from 12.5 million currently, according to a presentation given by the Dutch bank. Separately, CEO Ralph Hamers reaffirmed a progressive dividend pledge, and the bank’s target to achieve a return on tangible equity of between 10 and 12 percent over the long term, and bring its costs to between 50 and 52 percent of revenue.